Heart racing. Vision a bit blurry. Head starting to ache prematurely. Stress rising. Palms are sweaty. Knees weak. Arms are heavy. There's vomit on my sweater alread—wait, where were we? Oh yeah, I'm pretty stressed, which must mean GDC is right around the corner. Well that came fast. And it's looking like this GDC will be surprisingly news-heavy. Everyone from Valve to Nvidia to Microsoft to your local cloud computing middleware seems to have some super-extra-top-secret-classified announcement planned for this year's iteration of what's ostensibly a developer's conference. Oh well. We go where the news goes, and this year GDC is packed with announcements. Here's what you can look forward to next week (as well as a healthy dash of speculation on our part). There was a time not too long ago when Oculus was the only company doing virtual reality. Or at least the only company of note. I tried out a ton of Oculus Rift competitors last GDC and found literally every single one lacking. It looks like that'll change this year. 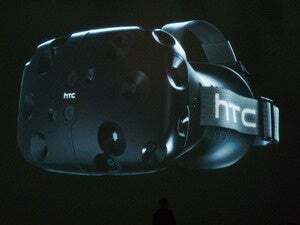 Valve revealed it will show off "a previously unannounced SteamVR hardware system" at GDC this year. Considering Valve and Oculus used to share R&D, that's certainly an interesting addition to the VR landscape. On the other hand, Valve's record right now when it comes to hardware is...well, nonexistent. Still. 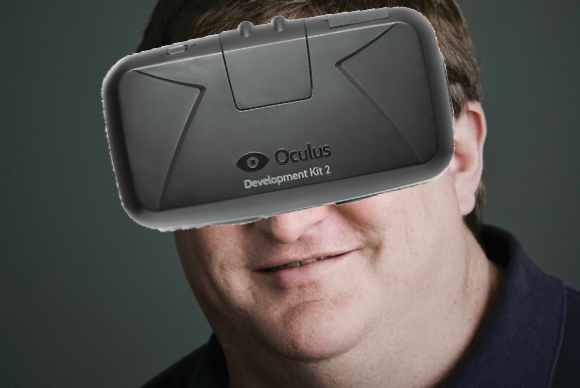 Yeah, I photoshopped this Oculus Rift onto Gabe Newell. Feel free to hire me for your graphic design needs. And we can probably expect some other familiar faces to crop up in the VR discussion this year. Razer's Open-Source Virtual Reality (OSVR) project was unveiled at CES this year and is likely to make an appearance, as is Google's Cardboard—though potentially to a lesser extent. For something a lot of people have deemed a "fad," there sure are a lot of big names competing in virtual reality nowadays. GDC is also where we'll hear about Steam Machines again, for the first time since CES 2014. Or...well, whatever Steam machines are called now. Valve's announcement promises "new living room devices," which certainly lends credence to what Origin CEO Kevin Wasielewski said during CES: That the Steam Machine name is "pretty much dead." RIP Steam Machines. We barely knew ya. 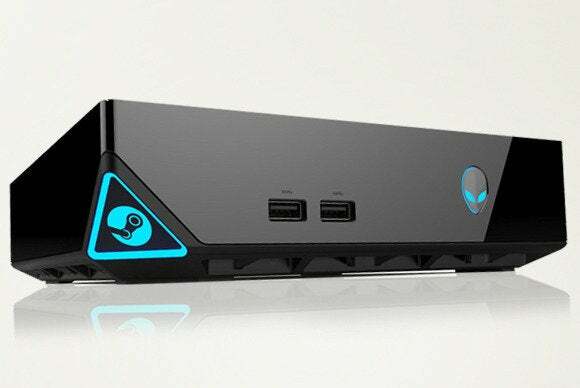 Remember when Alienware Alpha was a Steam Machine? It was since released as a Windows-based machine with a custom, controller-friendly interface. 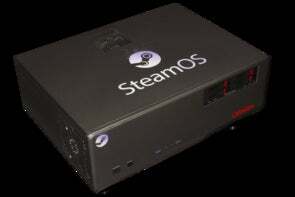 Presumably we'll see the introduction of new living room PCs running SteamOS, Valve's Linux-based operating system that revolves around Steam's Big Picture mode. Somehow. What I do know: The hype surrounding Steam Machines has never been lower. When Valve first surfaced the idea, anti-Windows 8 fervor was high and new consoles were still imaginary. Now both the Xbox One and PlayStation 4 are coming into their own and Windows 10 looks like a suitable gaming upgrade to Windows 7. The reasons to buy a Steam Machine (or whatever it's called) are much thinner. Valve will really need to pull off something amazing to regenerate hype. On the other hand, Valve will supposedly debut a final (or at least updated) version of its Steam Controller. 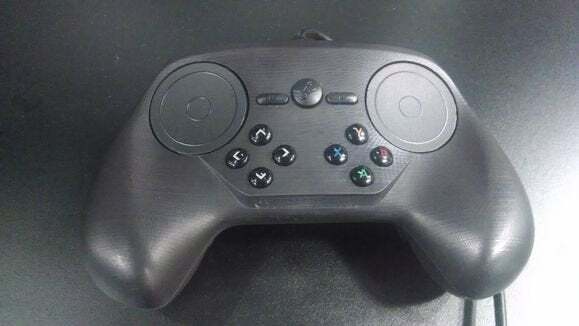 This is what the Steam Controller looked like at GDC 2014. The hybrid touchpad/gamepad device was originally planned to be central to the Steam Machine concept, but hopefully the final iteration will work with Windows too. This will be the first time we've gotten our hands on a Steam Controller since last year's GDC, so I'm looking forward to it. For tech nerds, expect a lot of intricate news about graphics APIs coming out of GDC. Yes, it's time for your yearly dosage of terminology like "closer to the metal," "amortizing," "swizzled resources," and more. Like last year, Microsoft will have a huge DirectX 12 presence at GDC with multiple panels focused on both the API and Windows gaming in general. The most important is probably a session given by Xbox head Phil Spencer on Wednesday titled "The Future of Gaming Across the Microsoft Ecosystem." Presumably this will also discuss some of the Xbox/PC cross-compatibility Microsoft's currently exploring (e.g. streaming Xbox One games to the PC). DirectX 12 quietly sneaked into the Windows 10 Technical Preview earlier this year, but it's currently useless without drivers and software to support it. DX12 is designed to give developers more granular control over hardware capabilities, eliminating CPU bottlenecks to improve performance and power efficiency. No less important however is the announcement of glNext, the successor to open-source graphics API OpenGL. While not as popular as DirectX on Windows systems, OpenGL is what powers gaming on Linux and Macs. We know nothing about glNext yet, but personally I'm hoping it's more compatible with DirectX 12—if only so porting games from Windows to Linux is easier. With Valve (a known Windows detractor) officially sponsoring the glNext announcement panel, it seems likely this would be true. For Steam Machines to take off, you'd certainly think glNext would need to be competitive with DX12's capabilities. And what about Mantle? AMD's API has been surprisingly quiet lately with Microsoft beating the DirectX 12 drum and glNext gearing up for the fight. In the realm of "not a graphics API but still important," there's also Epic to consider. Last year Epic's Wednesday morning panel debuted a new $20-per-month pricing scheme for Unreal Engine 4 that both shocked attendees and (if my anecdotal and not-at-all-scientific evidence is to be believed) seemingly put a dent in indie developer usage of competitor Unity over the past year. Epic once again has a 9:30 am Wednesday panel on Unreal this year, so we'll see whether there are any similarly-shocking announcements to come. It'll be hard to top last year though. Of course, it is the Game Developer's Conference. Expect a ton of gaming news next week, especially from indie developers. Since E3 is primarily focused on big publishers, GDC's become a bit of an indie show in recent years. Both the IGF Pavilion and GDC Play areas run demos of indie games on the show floor. Wednesday night is also the IGF and GDC Awards, which are gaming's perpetually-in-competition-with-the-DICE-Awards-and-whatever-Geoff-Keighley-is-doing-this-year version of the Oscars. The IGF Awards focus on honoring the year's best indie games and developers, while the GDC Awards are open to all games released in 2014. Or you could just read PCWorld's 2014 Game of the Year list instead.—though admittedly we didn't rent a stage to hand out awards. Also interesting every year: GDC's Classic Game Postmortems. These are by far my favorite panels at GDC. Basically, GDC highlights a few classic games and gives the developers a chance to discuss what development was like. This year Howard Scott Warshaw is giving a presentation about developing Yar's Revenge, Brian Moriarty will talk about Loom, Warren Robinett will discuss Adventure, and a panel of three (Paul Reiche III, Fred Ford, Rob Dubbin) will reminisce about Star Control. And a safe bet: Game announcements. Lots of game announcements. Some more important than others. It's going to be a packed week—games, hardware, and even some gaming hardware. And you can follow it all right here on PCWorld, where Gordon Ung and I will be writing up a storm. For breaking news, you can also follow me on Twitter, where undoubtedly I'll be swearing a lot, taunting my editor Brad Chacos, and mocking various presentations the whole week. I've been training my fingers like marathon runners. Anything you have questions about, feel free to comment or email/tweet at me before or during the show. We're here to serve you!